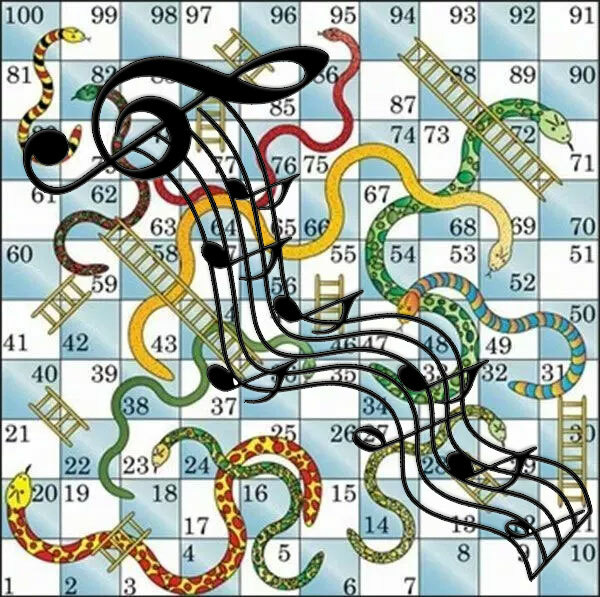 In followup to yesterday’s post, Uncovering The Significance Of “We struggle and we stagger down the snakes and up the ladder” In Leonard Cohen’s Closing Time, today’s entry features a survey of songs by other artists that also incorporate an allusion to the game of Snakes and Ladders. Compare for yourself, but to my ear, Leonard’s use of this trope (in what is almost a throwaway line in Closing Time) is more elegant and effective than the analogous efforts of such singer-songwriter icons as Joni Mitchell, George Harrison, and Elvis Costello. How About Chutes And Ladders? Well, there are a few songs that employ the Americanized game title, most notably by The Rembrandts, the folks who brought you I’ll Be There for You, the theme song for Friends. Credit Due Department: These lyrics (and more) were found at Lyrics.com.